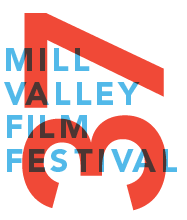 The Mill Valley Film Festival (MVFF) arrives early each autumn, giving Bay Area cinephiles their first look at acclaimed new films from Cannes, Locarno, Venice and Toronto. I undoubtedly smiled when I saw that my two most anticipated movies of 2014, Xavier Dolan's Mommy and Abderrahmane Sissako's Timbuktu, had made the cut for MVFF's 37th edition. And now thanks to a rare confluence of good movie karma – both are screening at a venue accessible by public transportation, both screen on my days off, and both had press comps available – it's for certain I'll be boarding that Golden Gate Transit bus to San Rafael once again. Mommy and Timbuktu each competed in the main competition at Cannes this May, with the former winning the festival's Prix du Jury for Xavier Dolan, its 25-year-old, gay French-Canadian director. The judges decided he should share the prize with 83-year-old Jean-Luc Godard (for his new 3-D movie, Adieu au langage), and together they represented the youngest and oldest filmmakers in competition. Dolan, for those just tuning in, took Cannes by storm in 2009 with his debut film, I Killed My Mother, and has followed through with four more impressive features. While some consider him a fraud, Dolan's eye-catching, emotionally oversized dramas consistently hit my sweet spot. Timbuktu, the other film I'll be trekking to see, is the latest exercise in humanism from Abderrahmane Sissako (Waiting for Happiness, Bamako), whom many consider Africa's greatest living filmmaker. His new film is based on events that occurred in 2012, when the titular Malian city of legend was overrun by jihadists hellbent on imposing sharia law. Timbuktu left Cannes with the festival's Ecumenical Jury Prize. Its lead actor, Ahmed Ibrahim, is expected to attend the film's MFVV screenings. In addition to these two important works, MVFF37 has programmed five more selections from Cannes' 2014 main competition. The festival kicks off on opening night with Tommy Lee Jones' The Homesman, which screened in competition nine years after Jones' last neo-Western, The Three Burials of Melquiades Estrada, won him the festival's best actor prize. The Homesman co-stars Hilary Swank, who will participate in MVFF's opening night festivities. This year's best actor award went to the incomparable Timothy Spall, who portrays British Romantic landscape painter J.M.W. Turner in Mike Leigh's Mr. Turner. If you miss the film at MVFF, it'll be back in the Bay Area starting on Xmas Day. Based on true events and set in the world of Olympic wrestling, Foxcatcher is Bennett Miller's follow-up to 2011's Moneyball. The film, which stars Channing Tatum, Mark Ruffalo and a reportedly unrecognizable Steve Carell, garnered Bennett Cannes' 2014 best director prize. 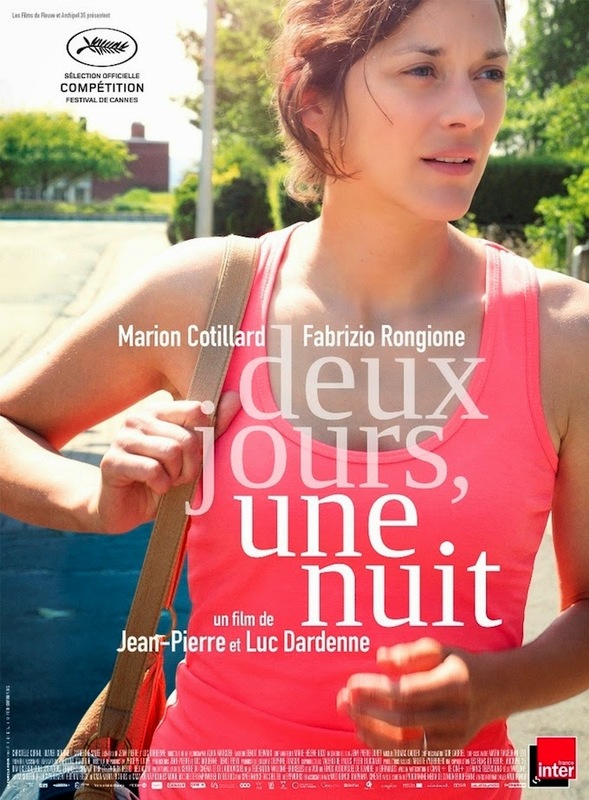 Jean-Pierre and Luc Dardenne's Two Days, One Night features Marion Cotillard as a factory worker who must convince co-workers to forego bonuses so that she might keep her job. While the film is that rare Dardenne Bros. joint to leave Cannes empty handed, Cotillard is being talked up as a serious Best Actress Ocscar® contender. Rounding out MVFF37's impressive collection of Cannes competition titles is Olivier Assayas' Clouds of Sils Maria, a reportedly challenging, meta-movie homage to the art of film acting, starring Juliette Binoche and Kristen Stewart. From Cannes' Un Certain Regard sidebar, MVFF37 has scooped up two more prize-winners for its 2014 line-up. Sweden's satiric Force Majeure lampoons contemporary notions of masculinity and took home the sidebar's jury prize. 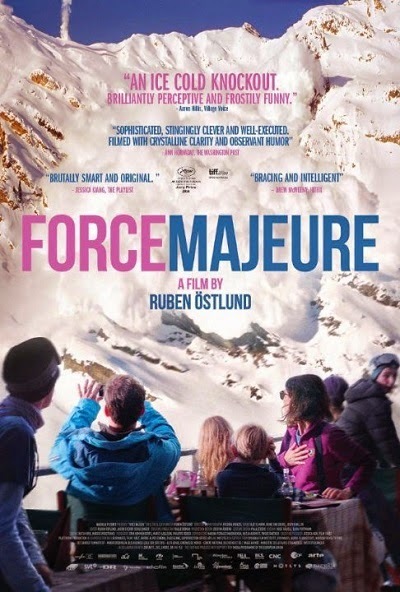 It traces the repercussions faced by a husband and father after he initially abandons his family during a ski resort avalanche. Director Ruben Öslund's previous film was the excruciating (in a good way) bullying treatise Play, which I was lucky enough to catch at San Jose's Cinequest a few years back. The 2014 Un Certain Regard award for best actor went to Aboriginal icon David Gulpilil for his role as a man caught between two cultures in Rolf de Heer's Charlie's Country. Gulpilil is perhaps the world's most recognizable indigenous actor. Debuting at age 16 in Nicolas Roeg's Walkabout, he's carried on with a distinguished career in such Australian films as The Last Wave, Rabbit Proof Fence and de Heer's own The Tracker and Ten Canoes. Cannes isn't the only festival from which MVFF has drawn prize-winners for its line-up. Haru Kuroki took home the best actress award at this year's Berlin Film Festival for her portrayal of a maid in an upper middle-class Tokyo home in Yôji Yamada's The Little House. Set in the years before and during WWII, it's Yamada's follow-up to Tokyo Family, his mostly unnecessary remake of Ozu's classic Tokyo Story, which played last year's fest. It's especially worth noting that The Little House will be the only movie at MVFF37 to be screened in 35mm. The winner of the coveted People's Choice Award at last month's Toronto Film Festival was The Imitation Game, starring Benedict Cumberbatch as real-life WWII gay British code-breaker Alan Turing. The film is directed by Morten Tyldum, whose last effort was the memorable Norwegian genre thriller Headhunters. 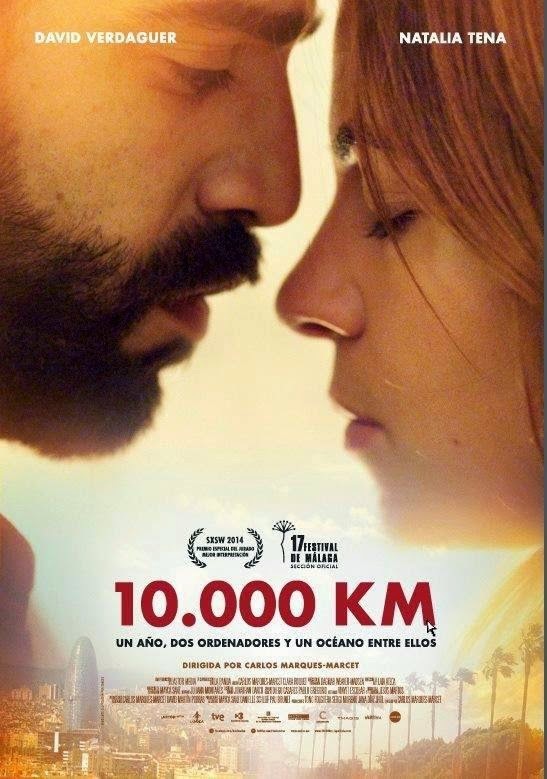 Also amongst the prize winners is Carlos Marques-Marcet's 10,000 Km. (aka Long Distance), a two-hander that explores the effects of technology on a long-distance relationship. 10,000 Km. won a SXSW special jury award and is one of nine features that make up ¡Viva el Cine!, a MVFF37 Focus on Spanish-language cinema. October 1 was the official deadline for countries to submit their entries for the 87th Academy Awards' Best Foreign Language Film competition. As would be expected, a number of MVFF entries are amongst the submissions. In addition to the aforementioned Mommy, Timbuktu and Two Days, One Night (representing Canada, Mauritania and Belgium respectively), five additional potential Oscar® nominees get their Bay Area premiere at MVFF37. Spain has submitted David Trueba's Living is Easy with Eyes Closed, in which a Beatles-obsessed high school teacher (Javier Cámara) strives to meet up with John Lennon during the 1966 filming of Richard Lester's How I Won the War. Trueba is the younger brother of veteran Spanish director Fernando Trueba (Belle Epoque, Calle 54). Dominik Graf's Beloved Sisters (no available link) is this year's entry from Germany, and focuses on a romantic triangle between 18th century poet Friedrich Schiller and two aristocratic sisters. Graf's last film to play the Bay Area was Beats Being Dead, the first chapter in the omnibus Dreileben trilogy. Ronit Elkabetz (Late Marriage, The Band's Visit) is my favorite Israeli actress and for the third time she stars in a film co-written and directed with her brother Shlomi Elkabetz. 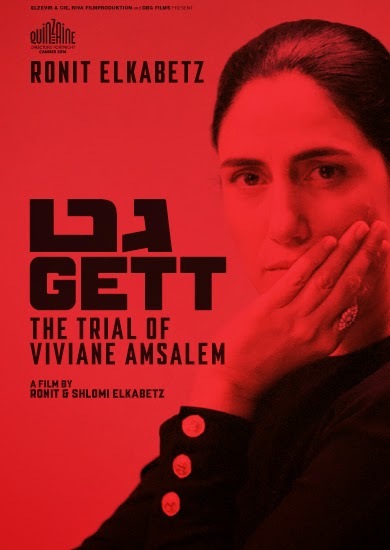 Gett: The Trial of Viviane Amsalem premiered in Directors Fortnight at Cannes and details a woman's five-year ordeal trying to legally obtain a divorce in Israel. MVFF37 will also be screening the Oscar® submissions from Croatia (Cowboys) and Taiwan (Ice Poison). MVFF is the Bay Area film festival where one is most likely to see movie stars and other notables walk the red carpet. In addition to Hilary Swank's appearance on opening night, this year's fest will play host to Laura Dern, Elle Fanning and newcomer Eddie Redmayne. Dern accompanies Wild, which co-stars Reese Witherspoon and is director Jean-Marc Vallée's follow-up to Dallas Buyers Club. Just as her sister Dakota did at last year's festival, Elle Fanning will be receiving a MVFF "Spotlight" treatment with a screening of her new film Low Down (opening in local cinemas on November 14). 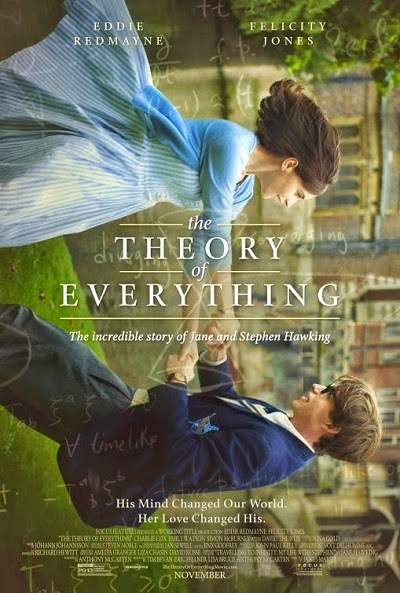 Also earning a MVFF37 "Spotlight" tribute is actor Eddie Redmayne, who's about to become a lot more famous with his starring role in the Stephen Hawking biopic The Theory of Everything, directed by James Marsh (Man on Wire, Project Nim). Redmayne is probably best known to American audiences for the 2011 fantasy My Week with Marilyn and a little film called Les Miserables. The musicians of rock band Metallica are this year's MVFF Artists in Residence and each band member will be on hand to personally introduce a movie they've selected. 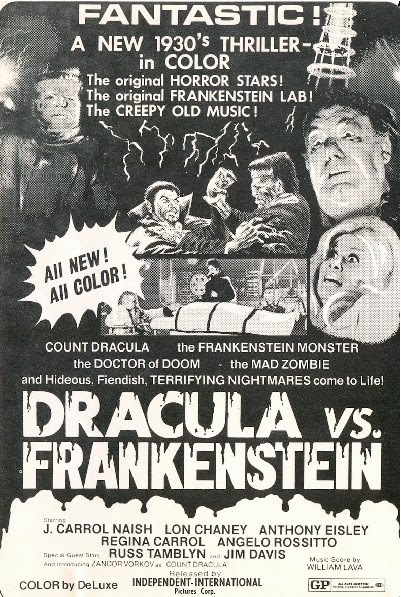 For example, guitarist Kirk Hammett has chosen Dracula vs. Frankenstein and singer James Hetfield has picked the Sergio Leone masterpiece The Good, the Bad and the Ugly. Also hailing from the rock music world will be Moon Unit Zappa, who'll appear at screenings of a new documentary about her father Frank, Summer '82: When Zappa Came to Italy. Finally, Bay Area foodies won't want to miss the Special Screening of Soul of a Banquet, which will feature an on-stage conversation between director Wayne Wang, visionary Chinese chef/restaurateur Cecilia Chang (the film's subject), and local food icon Alice Waters. While it would be impossible to touch upon the entire MVFF line-up – especially the enormous selection of worthy non-fiction films in its Valley of the Docs sidebar – here are four final entries I'm personally interested in. If you’re a fan of New Zealanders Jemaine Clement (Flight of the Conchords) and Taika Waititi (Eagle vs. Shark, Boy), you probably won't want to miss their co-directed vampire spoof, What We Do in the Shadows. Scandinavian genre films seem to be all the rage these days. In Hans Petter Moland's In Order of Disappearance, a Norwegian snow plow driver (Stellan Skarsgard) seeks bloody revenge against a Serbian drug kingpin (Bruno Ganz). A new film from Volker Schlöndorff (The Tin Drum) is always most welcome. His latest Diplomacy recounts the true story of the Swedish consul (André Dussollier) who convinced a German general (Niels Arestrup) not to destroy Paris in the closing days of WWII. The film will also open at Landmark's Opera Plaza Cinemas on October 24. 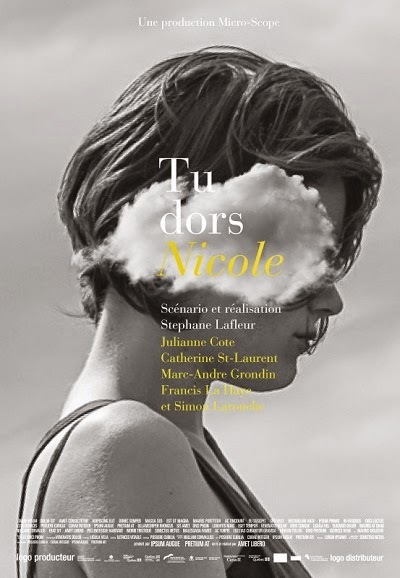 Then there's Stéphane Lafleur's enigmatic-sounding, French-Canadian entry Tu dors, Nicole, which follows an aimless 22-year-old over the course of one summer. My interest is piqued based on Lafleur's Continental, a Film Without Guns, which played a San Francisco Film Society Quebec Film Week back in 2008. Lead actress Julianne Cote is expected to attend the screenings.